A selection of mouth-watering dessert recipes from Esteban Arboleda! Check out the recipes for small dishes, classic dishes, side dishes and drinks. These crumbly cookies are traditionally made with lard, but I used a combination of coconut oil and butter that makes this recipe a keeper! Ingredients: 400g plain flour, 90g raw coconut oil, 90g softened butter, 120g caster sugar, 2 egg yolks, 1 tsp crushed aniseed and 1 tsp baking powder. Combine the cream sugar, butter and coconut oil. Add egg yolks one by one, then baking powder and aniseed. Add flour slowly until it forms a soft dough. Roll the dough using a silicone mat. Cut into 1cm rounds and place on a baking mat. 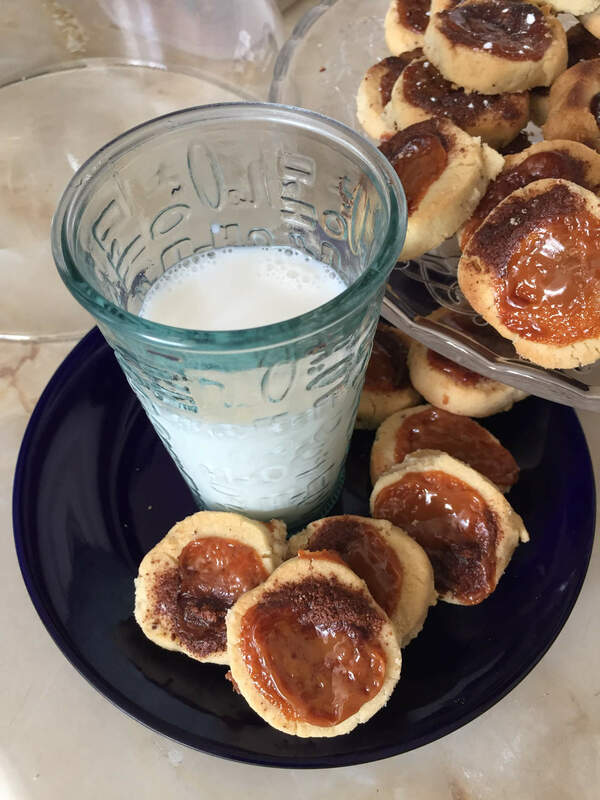 Gently push the middle of the cookies and fill the holes with 1/2 tsp of jam, dulce de leche or chocolate.Bake at gas mark six for 12-15 minutes. This is the perfect autumn dessert, a baked version of natilla which is a Colombian Christmas classic. You need 600ml whole milk, 400g evaporated milk, 400g condensed milk, 50g cornflour, 50g cornmeal (fine), 50g raisin, 50g desiccated coconut, one Tsp butter, one cinnamon quill, cinnamon to sprinkle and five whole cloves. Place the rest of the ingredients in a medium pot at low heat. Cook for ten minutes and add the 100ml of milk, cornflour and fine cornmeal. Cook at low heat for five minutes while whisking. Increase the heat to medium and whisk every so often until the mixture starts to thicken. 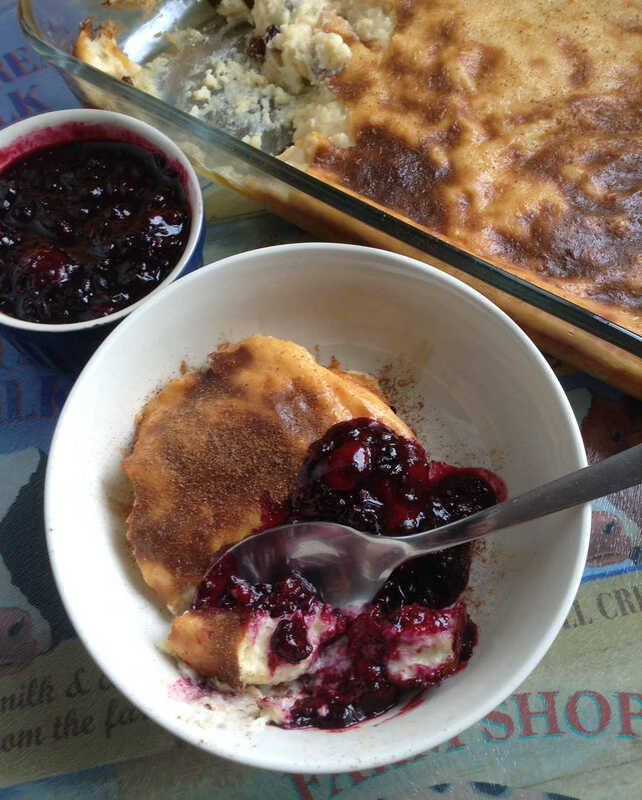 Top with quick berry jam and serve! How do you make quick berry jam? Place 300g of frozen berries in a pot, add the juice of one lime, sprinkle some sugar to kill the acidity and cook for ten minutes at low heat. Boom! 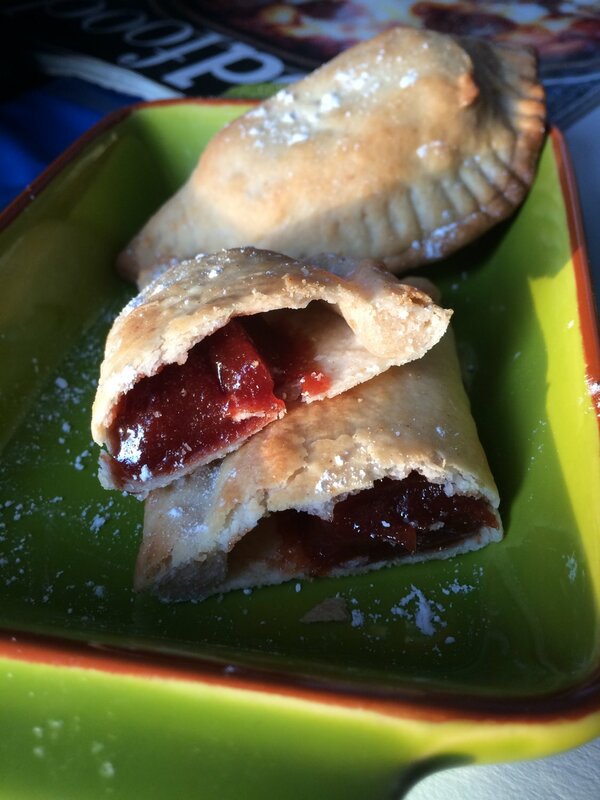 These 'guava empanadas' are a great treat! Using your food processor, mix 200g plain flour, 50g organic coconut oil , 1 tsp brown sugar, 1 tsp dried yeast until fully mixed. Add 100ml boiling water bit by bit until all the ingredients are integrated. Place in a bowl and leave to rise for one hour. Divide into twelve balls and extend using a rolling pin. Fill with 25g of guava jam or bocadillo paste. Bake for 20-25 minutes or until golden brown at gas mark 5. For 6 portions you need 3 smashed ripe plantains, 120g of grated feta cheese, 1 tablespoon of olive oil and a pinch of salt. Put some oil on a non-stick frying pan and, when very hot, place the smashed plantain onto it and add salt. Using a spatula, keep mixing up for about 5 minutes until thoroughly cooked, then gently make space at the centre of the plantain mixture and place the cheese. Using the excess from the borders, cover the cheese and flip it until it is golden brown on both sides. Serve either warm or cold with home-made syrup. I love making this delicacy, because it reminds me of my childhood while baking cakes and different recipes with my mother, who is an amazing cook. 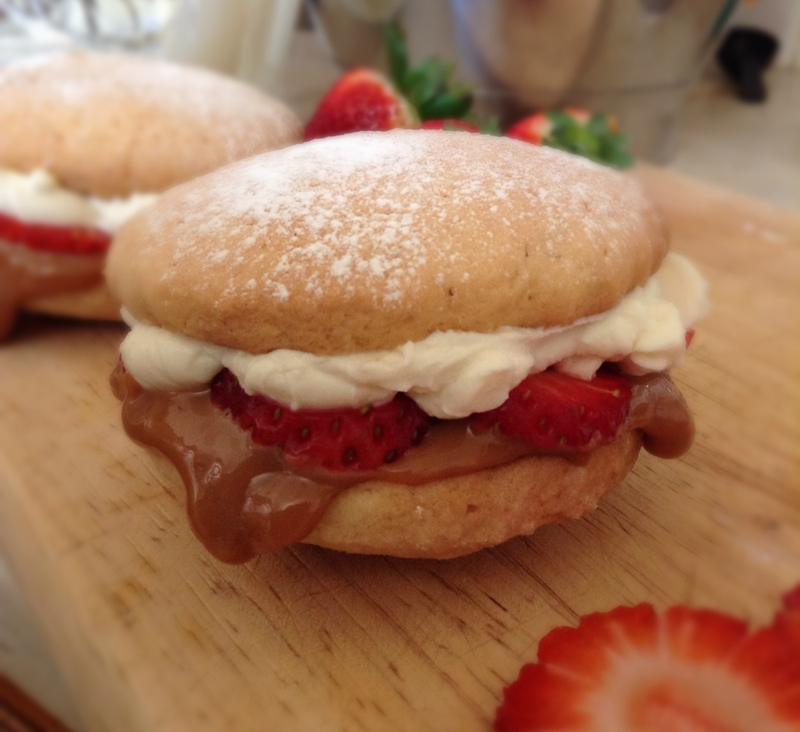 I like my alfajores with dulce de leche, cream cheese and British strawberries . The ingredients are 500gm of English butter, 3 cups of sifted flour, 2 cups of corn starch, 3/4 of a cup of icing sugar and some milk if needed. For the filling and covering, use dulce de leche (or guava jam), dehydrated coconut (or ground almonds or pistachios), cream cheese and icing sugar to sprinkle. Mix the butter and the sugar and add the flour with the corn starch. Mix well until all the ingredients are incorporated. Extend the pastry with a rolling pin over plastic and cut using rounded cutters. Cook in the oven at gas mark 6 for 10 minutes approximately. Try these and not only amuse your kids but get them eating fruit while enjoying a treat. 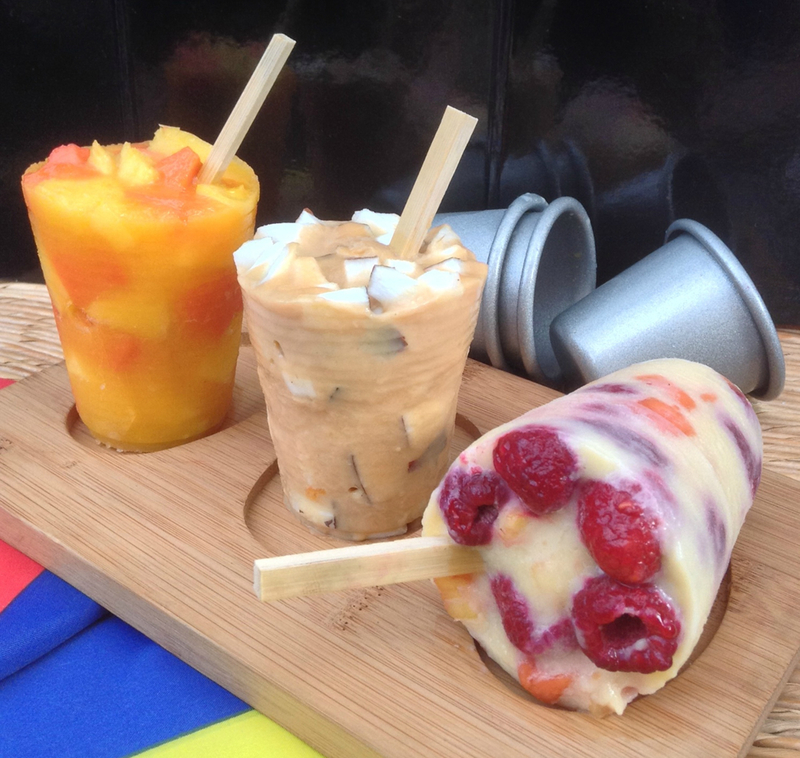 My lollypop flavours are: 1) Fresh pineapple and papaya cubes with mango pulp. 2) Caramel custard and fresh coconut. 3) Vanilla custard, cubes of pineapple and papaya cubes, and frozen raspberries. Just put the ingredients into containers (you can buy these or use disposable plastic cups), add the fruit and the custard or the mango pulp. Place lollypop sticks in the centre and put straight into the freezer. Tips: caramel can be easily found in big supermarkets and is known as dulce de leche in Latin shops – just add it to custard to make caramel custard. Frozen raspberries are easier to manipulate than fresh ones when making this type of treat. A quick, easy and refreshingly delicious dessert! 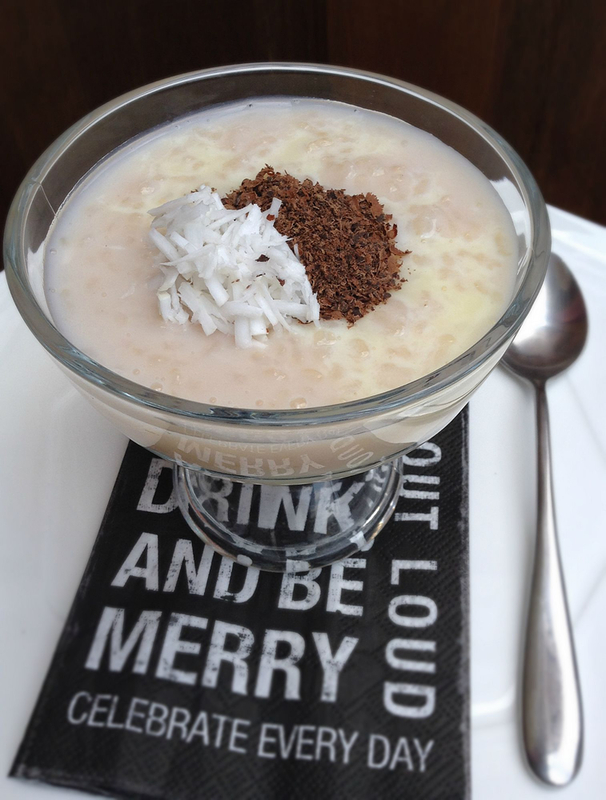 For 4 portions you need: Half a mug of rice pudding, 2-3 spoonfuls of brown sugar, 2 mugs of milk of your choice (coconut, almond or rice milk are all fine), cinnamon bark, cinnamon powder, condensed milk, fresh grated coconut and grated dark chocolate. Put 2 mugs of water to boil, add the rice, sugar and cinnamon bark until it is soft and creamy. Add the milk until boiling, then let it set and cool down. Add some raisins and single cream (optional), mix up and place into serving bowls. Put them in the fridge and serve cold with condensed milk, fresh grated coconut, grated chocolate and a sprinkle of cinnamon powder. 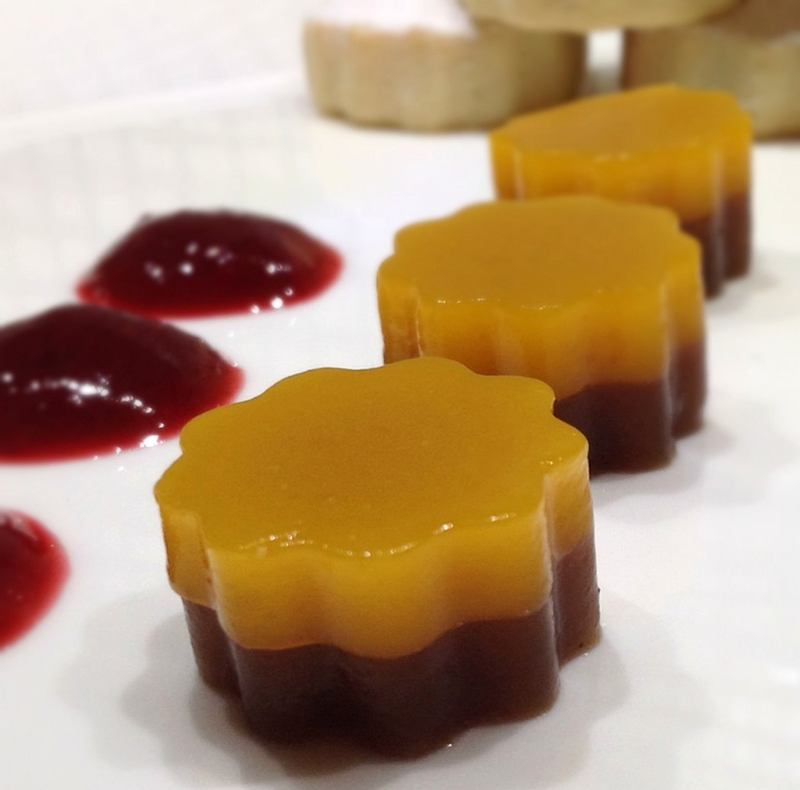 To make a delicious fruit jelly you only need 200ml each of tamarind and mango pulp, 200gm of brown sugar and 4 sachets of vegetarian jelly. Put the tamarind pulp in a pan with 100gm of brown sugar until it boils at low to medium heat. Take it out from the stove and reserve. Dilute 2 sachets of vegetarian jelly in 100ml of cold water and then add it to the reserved pan. Mix it up and pour into a flat container. Let it cool for 1 hour in the fridge. Repeat this procedure with the mango pulp, then lay it on top of the tamarind jelly and let it set in the fridge. This is a great way of turning your ripe plantains into a gorgeous savoury dessert. 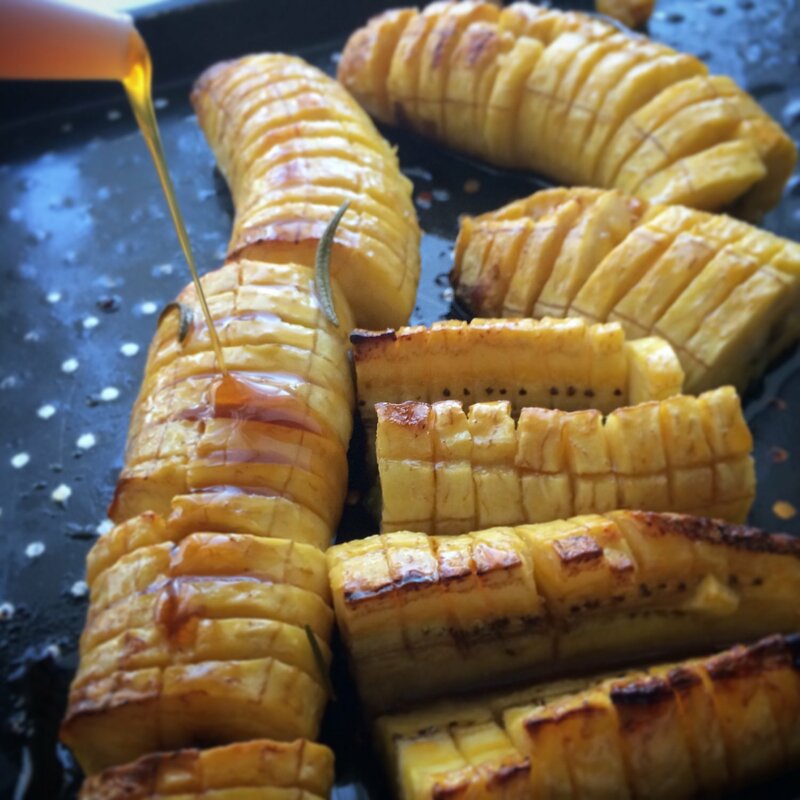 Peel the plantains, score them and smear with raw coconut oil. Place on a tray and cook at gas mark 5 for 30 minutes. 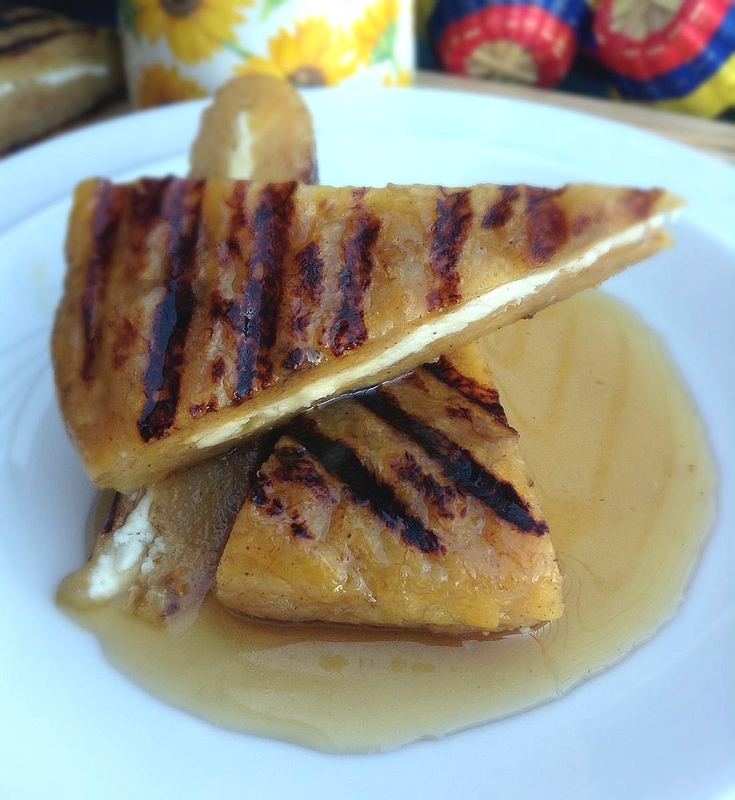 Serve with your favourite syrup and vanilla ice cream!